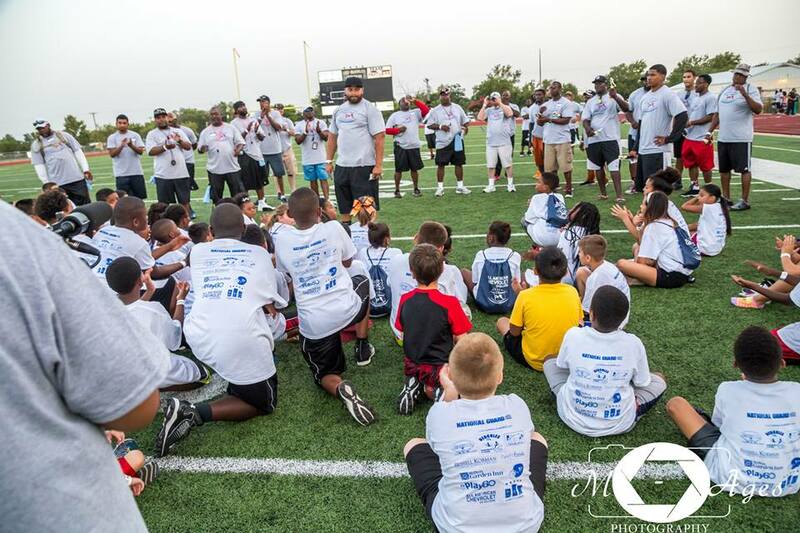 350 campers filled Leo Buckley Stadium, July 11th and 12th, to participate in the Accumulative Advantage Foundation’s 5th Annual Football and Cheer-leading Camp. Kids had the opportunity to learn from over 15 local, NFL Players and Pro Cheerleaders! With so much support from volunteers, NFL PLAY 60, and some local companies, campers were able to enjoy fun activities while taking away life lessons, which go far beyond athletic competition. Kid’s were challenged to be disciplined, work hard, including cleaning up after themselves. “Killeen Ball” a game of football where every kid gets the chance to play QB and catch the ball was played, campers watched and supported the cheerleaders during their performances, ice cream and barbeque meals were provided to campers, and children got one-on-one time with our professional athletes. Our citizenship award was given away to 32 campers including 6 fastest man trophies. 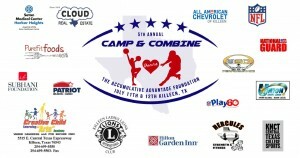 This year a heart on our camps logo displayed the name: Donna. Donna helped build our foundation and had a sincere passion for the kids of Killeen. In 2013 Donna Passed away. Donna Fischbach, you are forever in our thoughts and hearts, we celebrate and our reminded of you every time a child smiles at our camp. We are forever in debt to you, your vision lives on, rest in peace. Thank you for helping us evolve the camp to where it is today. 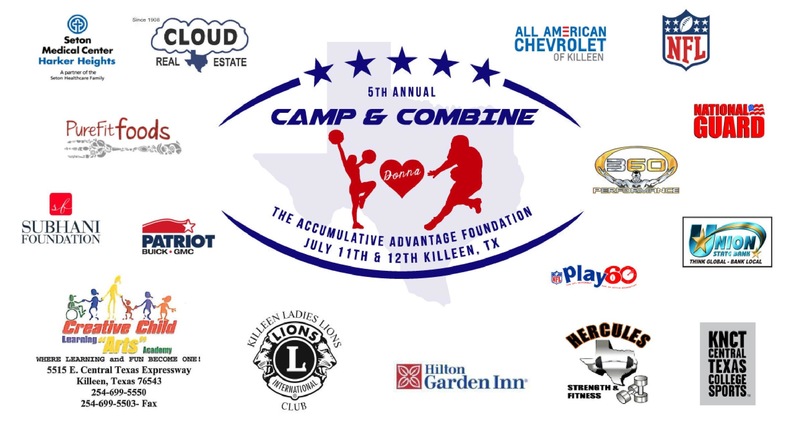 Cloud Real Estate, Creative Child Learning Arts Academy, Killeen Ladies Lions Clubs, Seton Hospital, and Subhani Foundation.